Last week we examined pediatrics websites. This week, we're focusing on plastic surgery websites. We chose these three websites for their exemplary layout and organization, color schemes, and content. The Gillian Institute's website uses an attractive, warm color scheme. To appear welcoming to patients, they include pictures of the office. For each section, they include details of what each surgery entails, as well as before and after photographs. 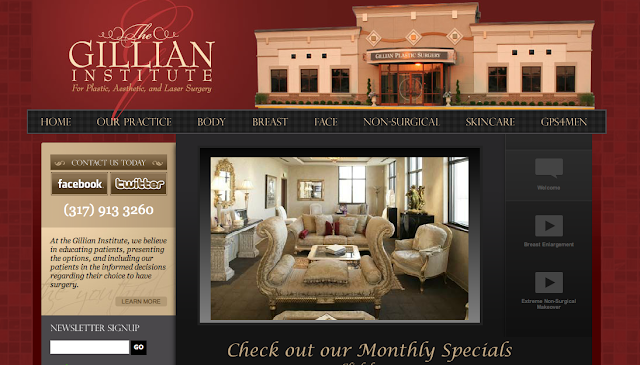 The Gillian Institute for Plastic, Aesthetic, and Laser Surgery's home page. Beverly Hills Plastic Surgery's website is simple and genial. 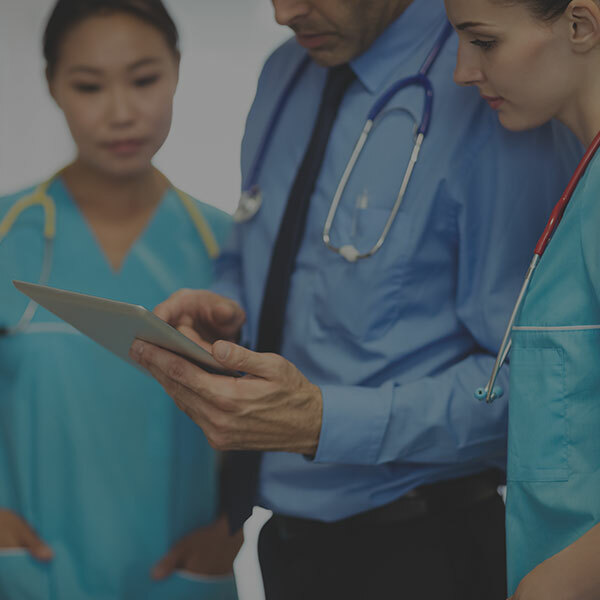 They include testimonials and photographs from patients on the home page. They also make it easy for potential clients to schedule a complimentary consultation by filling out a form or calling. Beverly Hills Plastic Surgery's home page. 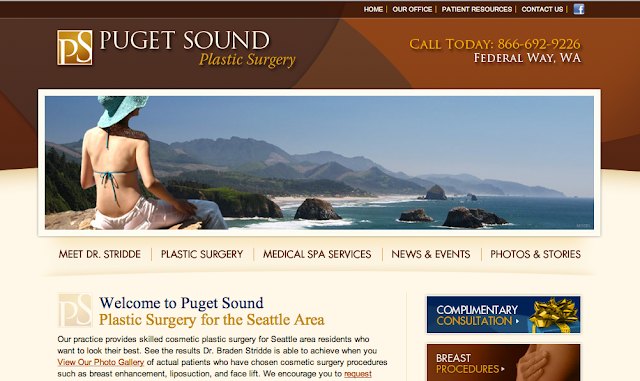 Puget Sound Plastic Surgery's website is organized nicely. They do not overwhelm you with too much information on the home page and make it easy to schedule a consultation. Puget Sound Plastic Surgery's home page. Before and after photographs: Show your potential patients the great work your surgeons do. Testimonials: When potential clients read happy patient testimonials from people they can relate to and who have similar problems, they're more likely to use your office. Services: What does your office offer? Let clients know what services you provide. Make it easy to schedule consultations: Include an easy to fill out form and/or phone number for clients to call and schedule a consultation. Add an office tour/photo gallery: Show your potential patients what the atmosphere is like in your office to help them be as comfortable as possible before they come in for a consultation or surgery. Does your plastic surgery website need help with its online strategy? TBH Creative is a web development company located in Indianapolis, Indiana. Specializing in online strategy, web design, social media, and search engine optimization: let us help you with your office's Internet needs.